Since fall of 2013, Maker Ed has had the honor of running the Maker VISTA program in partnership with the Corporation for National and Community Service (CNCS). 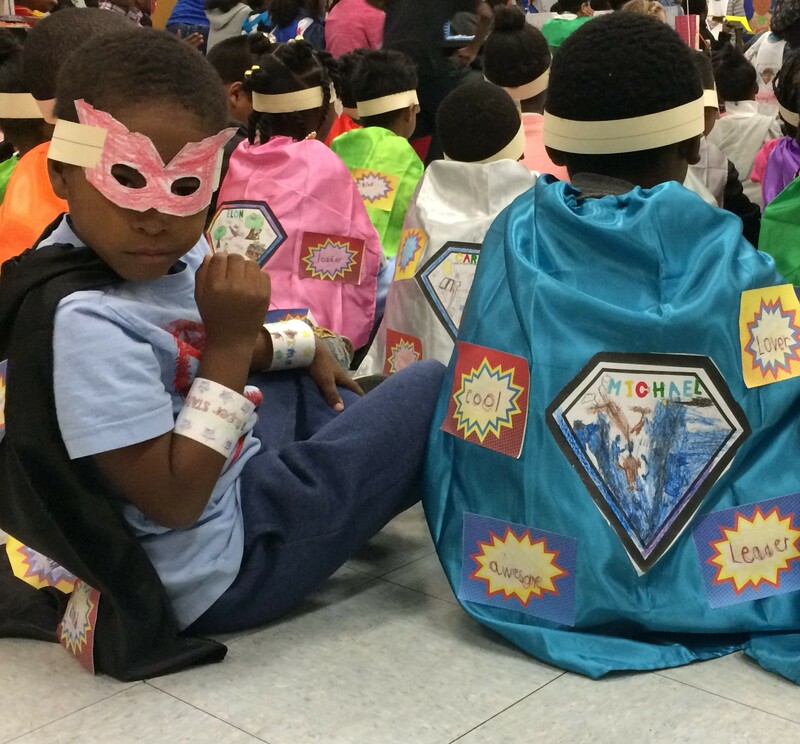 Through the incredible and enduring work of partner sites and members within their respective communities, we have carried forth the mission of the AmeriCorps VISTA program by using making as a tool to address systemic issues in education in unique and substantial ways. Maker Ed made the hard decision to discontinue the VISTA program last year, and in September 2018, we will conclude our Maker VISTA program. Moving forward, we will continue to integrate the learnings, successes, failures, and knowledge gained through these past 5 years into our regional hubs and workshops. We believe this will help us be more purposeful in all of the work we do as a community of makers. As we wind down this effort, during the month of August, we will be featuring stories from each of our current Maker VISTA partner sites on our blog. The work of our Maker VISTA program has been incredible, and simultaneously, challenging. We’ve asked our amazing and inspiring Maker VISTA members to reflect, celebrate, and share their experiences, knowledge, and accomplishments. We hope that their writing shows the breadth and depth of the Maker VISTA program’s accomplishments over the last five years. Maker VISTA builds capacity in every sense of the phrase: VISTA members create events and community opportunities, write grants, grow professionally and personally, install and improve physical spaces, build storage and furniture, organize and inventory a wide array of supplies and tools, leverage in-kind donations, support teachers through lesson planning, run training opportunities and linking networks, organize farmers’ market booths and family nights, write project guides and system protocols, develop mobile maker labs and carts to extend reach and service, recruit and manage volunteers—the list goes on. These high-level ideas and minute tasks are the underlying work of education, and Maker VISTA members and partners have done them all. In big cities and small towns, from Pittsburgh to Atlanta to San Antonio, from Sanger, CA to Salmon, ID to Charlottesville, VA, Maker VISTA has made an impact, both obviously measurable and quietly and subtly. We have a long list of stats to share, compiled over the course of 5 years, but the stories about the work and the inspiration that they provide are far more compelling. 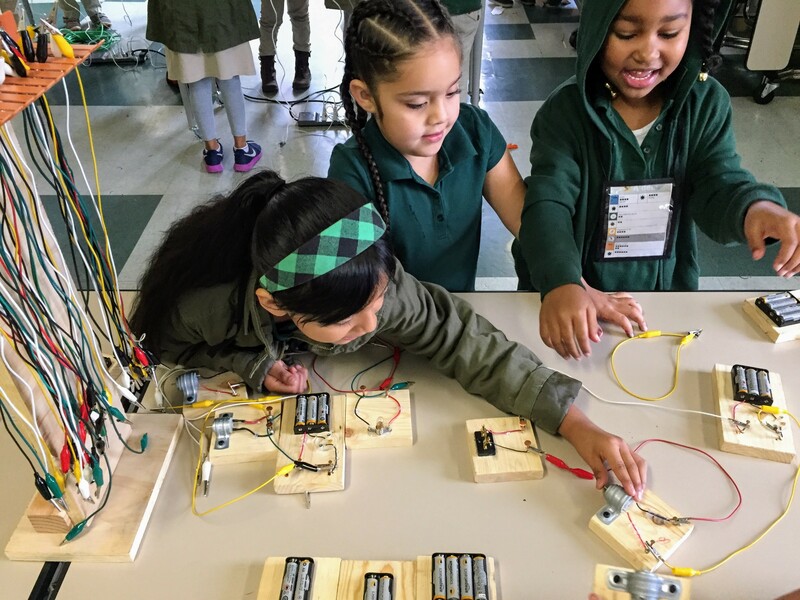 Our friends and partners are phenomenal educators, administrators, mentors, and do-ers, and their work allows youth to see themselves as agents of their own learning, as makers, and as community contributors. Within the variety of institutions that Maker VISTA has supported, the capacity and efforts in public schools, charter schools, community-based organizations, university-school partnership programs, and more have both deepened and grown. We know that they are well-situated to continue to grow their influence and work overall. Our Maker VISTA members have also been a breath of fresh air and a talented group to learn from, coming from all corners of the country and from many areas of expertise. Their energy, passion for giving back to familiar and new communities, and true interest in the ideals of making and education are what has made the work possible. We also remain grateful for the creative and grounded opportunities for workforce development that the CNCS-supported program has offered. We know that there is still an immense need to serve Title I schools and communities, and there is no question that we will continue to do so. Improving educational opportunities in marginalized communities takes a multi-stakeholder approach—led by many passionate and tireless individuals—to do the behind-the-scenes work so that the efforts on the front lines can happen. We are excited to think about how we can integrate the knowledge gained through Maker VISTA with our other efforts, and to share the next chapter of our work with the maker educator community! Look forward to a future post about the goals and objectives we’ll be working towards in 2018 and beyond. Our partner organizations could tell volumes of stories about their work, and they each deserve bright spotlights 24/7. We hope that these snippets and short insights spark interest in and support for the work of our fellow makers and creators. They will provide exciting glimpses into the practical work and big impact of Maker VISTA. What has emerged is like a quilt of stories, told from different perspectives, with different focus, all connected to the impact and success of the incredible service in community over the past year. We hope you enjoy reading them all! If you missed last year’s Maker VISTA stories, feel free to check out makered.org/maker-vista for more!